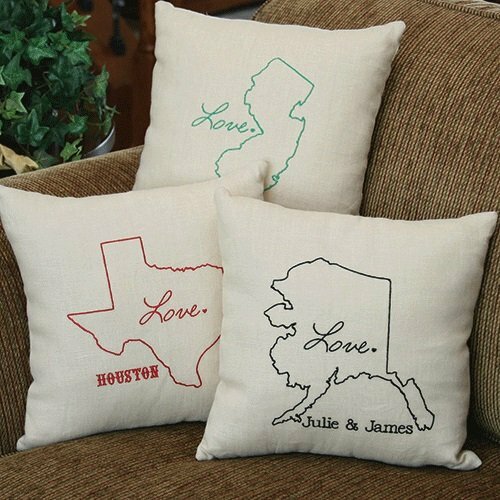 Personalized state linen throw pillows are a fantastic gift to show your love to the bride and groom. Choose the state, your personal message, thread color, and lettering style for a truly unique gift they’ll treasure. 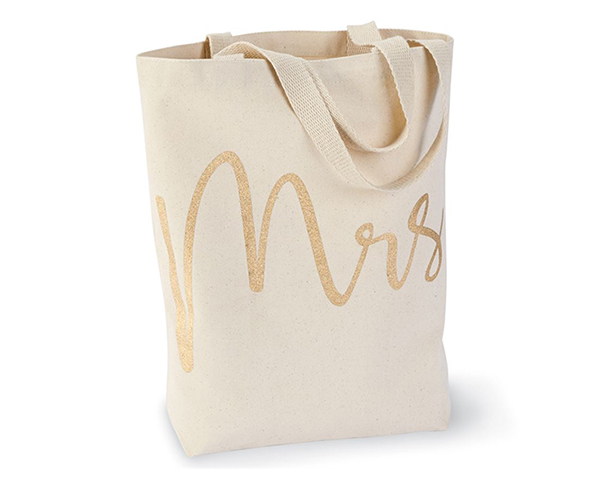 The bride and groom can also gift to the bridal party as thank you gifts for being a part of their special day. Invite guests to fill this personalized Mr. & Mrs. box frame with well wishes and words of wedding advice. 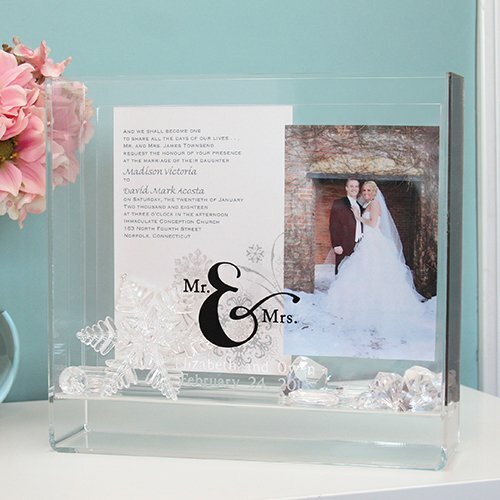 This pretty acrylic box frame fits photos, mementos, and other small keepsake items. 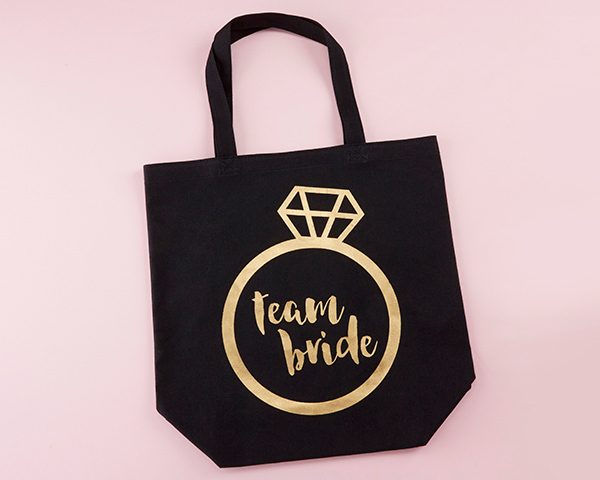 Use at the wedding for a functional and fashionable accessory, and after, keep at home as a special memento for years to come. This pretty trinket dish duo set is a wonderful wedding gift for the bride and groom that have it all! 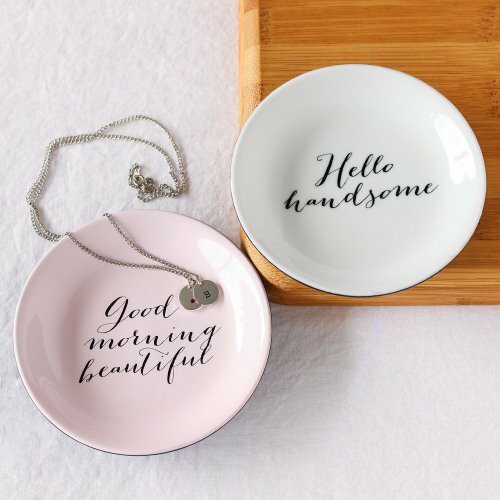 Made of porcelain and decorated in a beautiful font, the dishes state: “Good morning beautiful” and “Hello handsome”, respectively. Comes packaged in a gift-ready presentation making this a fantastic gift they’re sure to love. 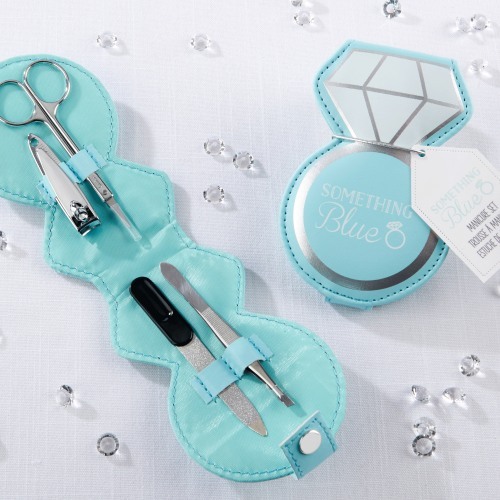 A wedding calls for polished nails, which is exactly why this diamond ring manicure set is a must! Complete with tweezers, a nail file, fingernail clippers, and scissors, this set has everything you need for a clean look. Plus, it’s cute and compact packaging makes this product great for keeping handy in a nearby purse at the wedding! Perfect as bridal shower favors that can be used time and time again. 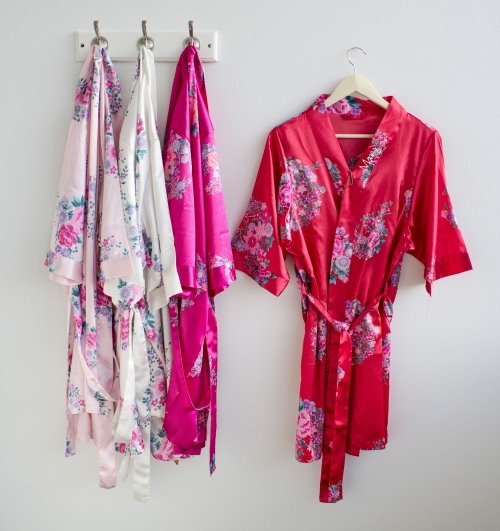 Pamper the bride-to-be and her beautiful bridesmaids with pretty personalized satin robes. 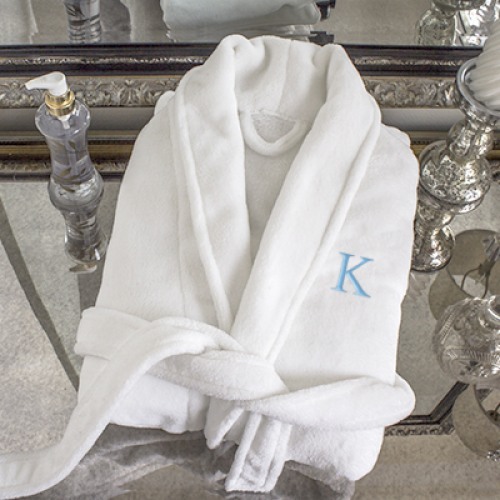 These decadent robes are silky soft, available in your choice of colors, and personalized with an embroidered name or initial in your preferred thread color. These stylish robes are as comfortable as they are fashionable. A wedding card box shouldn’t mean you have to compromise style! Just as your wedding dress isn’t ‘just’ a dress, this ornate metal reception card box isn’t ‘just’ a box. Incredible attention to detail makes this eye-catching wedding card holder a gorgeously chic table accessory. 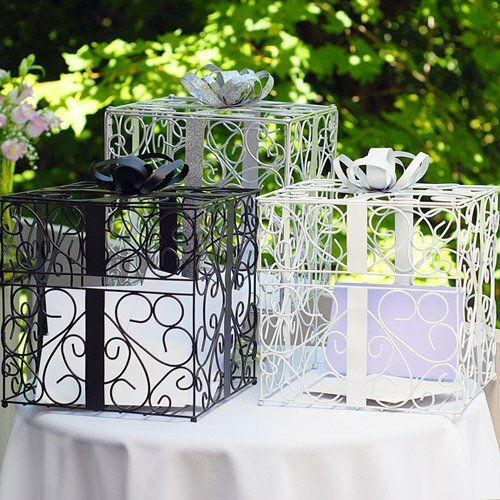 Whether you’re looking for a practical bridal shower gift or a chic wedding decoration to wow your guests, this ornate metal wedding card box is right on the money! Each metal reception card box comes in black, silver, white, or gold and features an intricate scrolling vine pattern set off by dazzling glitter and a saucy bow.